Amaze in the Dark by Simply See. My first post of 2015 and I couldn’t be happier than to be able to write about this. 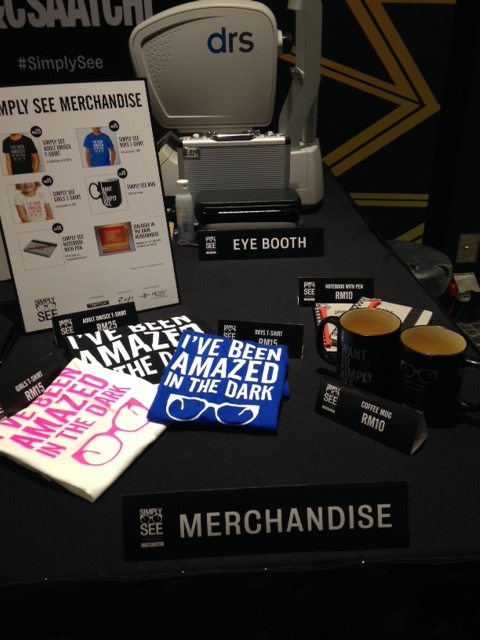 Simply See: Amaze in the Dark. It’s finally a reality. It all started a few years ago when Simply See was just a seed of an idea. Fast forward to 2014 when the three of us at M&C Saatchi watered that seed and now it has grown into a young tree. I work in advertising (M&C Saatchi KL) and had the idea to create a CSR campaign inspired by our founding partner, Lord Maurice Saatchi’s iconic spectacles. 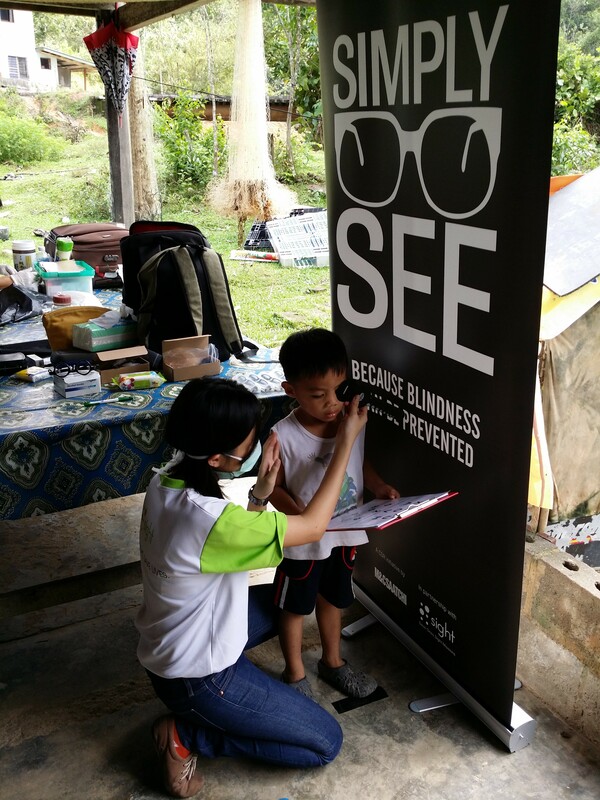 The campaign would be all about providing accessible eye-care to underprivileged Malaysians and to spread awareness on preventable blindness. I grew up in London and it really bothered me that something as basic as decent eye-care that we take for granted in the UK is not easily available in many parts of Malaysia. As a nation, Malaysians strive to put our country on the map and gain developed-nation status, yet when it comes to basic eye-care, we are placed as a 3rd world country by the WHO. 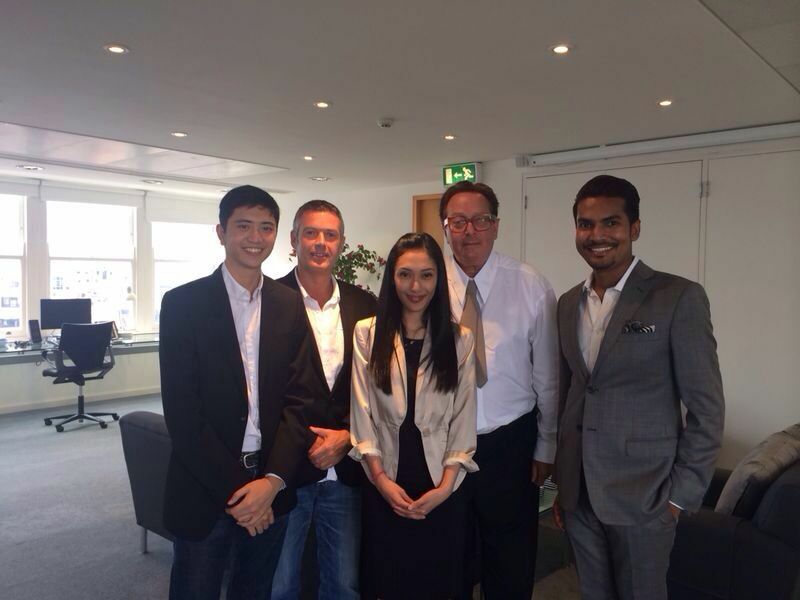 Our bosses liked the proposal and we flew to London to share the initiative with Maurice Saatchi himself. It was an eerie coincidence for us to discover during our meeting with Maurice, that just a few weeks prior, he had suffered from a detached retina and required emergency surgery to save his eyesight. Imagine if this Legendary Adman had lost his vision – the one sense that is absolutely integral to the industry in which his empire was built upon. That would have been unimaginable. So we developed a campaign that we coined “Simply See”. I felt that it was a nice balance between communicating what we set out to do and also our company philosophy, Brutal Simplicity of Thought. Our focus at the time of launch is on raising awareness and funds to support mobile clinics in rural parts of Malaysia which will provide diagnosis, surgery, medication and the Simply See Adspecs. These specs were developed by Professor Joshua Silver, a physicist from Oxford University and our NGO partner are the first to bring them in to South East Asia. The lenses are immediately adjustable with silicone and can be set on the spot; eliminating the logistics and waiting time of administering conventional spectacles to children in rural parts of Malaysia such as Borneo and villages. To raise awareness to the urbanites in Kuala Lumpur, we decided to create an experience of what it’s like to lose your eyesight. 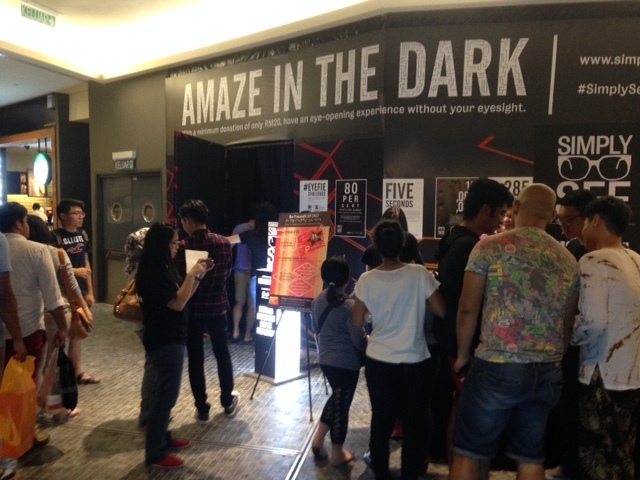 We built a concept dubbed Amaze in the Dark in Mid Valley Megamall with the help of our NGO partner, Save One’s Sight Missions. It’s a great experience and I highly recommend everyone to catch it before it ends on 31st Jan 2015! I can’t give too much away but I can guarantee that you will be amazed. You can also get free eye health checks (until 10 pm today 25th Jan) which will tell you vital info about your eye pressure and any onset of glaucoma, diabetes and retinopathy threats. You just donate whatever you feel like giving after your experience and although we have set RM20 (just £4) as a guideline, it’s not an obligation for you to donate if you don’t feel it’s worthy of this amount. 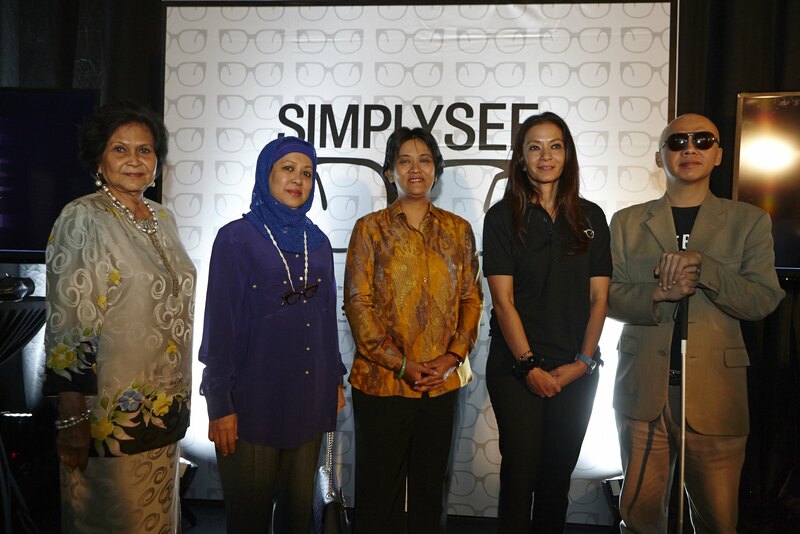 For those who are not in KL but want to support #SimplySee, join in the #EyefieChallenge! All you’ve got to do is snap a picture of your eye(s), upload it to Instagram or facebook; hashtag #SimplySee, #EyefieChallenge and include www.simplysee.com.my in your caption. Nominate as many friends to take part and donate any amount at www.simplysee.com.my . So simple! 80% of blindness is preventable! Imagine losing your eyesight when there was an 80% chance that it could have been saved! Please visit www.simplysee.com.my for more info and support this cause. Together, let’s help this tree of ours to grow into a mature, life changing tree and let’s help Malaysians to Simply, See. This entry was posted in Advertising, Hubby and tagged #EyefieChallenge, #SimplySee, Blindness, Charity, CSR, Eyecare, Eyesight, Fundraising, Kedah, KL, Kuala Lumpur, London, M&CSaatchi, Malaysia, Maurice Saatchi, MidValley Mall, Moray McLennan, Princess, royalty, Saatchi, Simply See, SOSM, Vision by diyanaabbas. Bookmark the permalink.